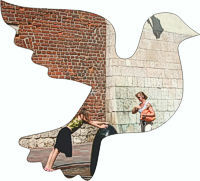 Up to date Krakow, Poland: helpful information, services and resources. Top attraction and the premier tourist destination in Poland, today's Krakow (dated English spelling "Cracow") is a vibrant city of a million, proud of its long and glorious history, rich heritage, and architectural beauties. For many centuries the capital of the Polish kingdom, nowadays it remains the southern Poland's metropolis and the seat of the Malopolska provincial government. Important as a crucial center of business, culture, and education, Krakow is also famous for its myriad restaurants and nightspots. What is it? / Essential facts about Krakow and Poland. How to… / Vital information for visitors. What to do in Krakow? / The city’s many appeals. Where is the fun? / Take your pick of entertainment in Krakow. Piece of news: Easter 2019 Misteria Paschalia music festival in Krakow, Holy Week April 15th to April 22nd: Italian Baroque composers. Easter market goes on in the Krakow central square from April 11th thru April 22nd, 2019. What to see? / Krakow’s tourist spots and historical monuments. Wow, what a sight! / Singular masterpieces and eye-popping curiosities. 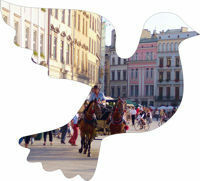 What makes Krakow so special? / Must-visit places. Why the world cares? / Mankind’s most treasured legacies. Where to stay in Krakow? / Lodging options. How to enjoy every bite? / Eateries, meals, and foods. Where is it? / Specialized maps of the city. How to do it on the cheap? / Advice for budget-conscious travelers. Who minds biz in Krakow? / Guide to money matters. What next? / Tourist destinations near Krakow. When Krakow gets real… / Info for landlords, tenants, and investors. Where the action is? / Places that make things happen. 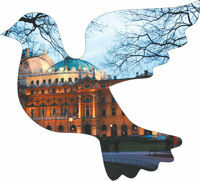 Glance at Krakow news, current affairs, recent developments, and happenings. Look up Krakow events, updates, and whatever goes on in the city. Developments in Krakow which may concern you. Air quality in Krakow, Poland, and across Europe - today & forecast. Krakow Info - what anyone may need to know about Krakow, Poland. 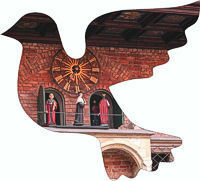 Krakow Info is an independent information service run by professional journalists and experts based in Krakow, Poland. We support an open Internet so please feel free to link to any page of the Krakow Info website. 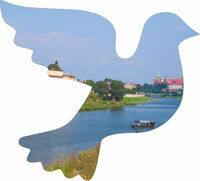 Use online our photos of Krakow and Malopolska province for free! Visiting Krakow in Poland. 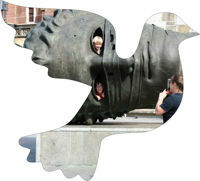 The city attracts a couple of million foreigners every year, while the total number of visitors approaches ten million. Unsurprisingly, given Krakow’s reputation as a must-see place, tourists predominate. High season lasts from April to mid-October with another surge of tourism around Christmas and the New Year. Travel to Krakow, Poland. Its central location in Europe plus good air, train, and road connections make journey to Krakow easy. The main Krakow Glowny train station and MDA bus depot sit right in the city center. The Krakow airport is situated ten miles from the downtown. Accommodation. Visitors may stay in over 120 hotels in Krakow, divided into five categories, Other lodging options include numerous hostels, guesthouses, and short-term rental apartments, not to mention a couple of campsites. Food. There are literally thousands of restaurants in Krakow, from exclusive to inexpensive, which permits everybody to find a suitable place to eat out and enjoy preferred cuisines. Krakow is special. There is no match for Krakow in Poland and few places elsewhere may equal it in attractiveness for a visitor. Its historical glories, numerous landmarks, colorful festivals, and atmospheric scenery make Krakow a premier destination in Central and Eastern Europe. Also, the city is rich in fine restaurants, myriad clubs, and other metropolitan joys. The place has been settled since the Stone Age at least. In 1038 Krakow became the capital of Poland and Polish monarchs took up their residence in its Wawel Royal Castle. The city’s Old Town historical district, initially a medieval municipality set up in 1257 by Duke Boleslaw V the Chaste, features high among the earliest entries on the UNESCO list of the world cultural heritage. Its well preserved original grid of streets with the huge central Rynek Glowny square, Europe’s largest in the Middle Ages, proves the last stage in the perfection of medieval city planning. And the intervening centuries have filled it with architectural beauties: churches, aristocratic palaces, stately burgher houses, public buildings. Nearby Kazimierz district, once a separate city King Casimir III the Great founded in 1335, boasts its own set of marvels, together with its famed former Jewish quarter. The present-day bustling metropolis of near million sprawls around engulfing still more landmarks, from prehistoric mounds to ancient monasteries and convents to the world-famous subterranean realm of the Wieliczka Salt Mine - another of the UNESCO world heritage sites. Gateway to Poland. Krakow is the gateway to Poland, notably the southern half of the country. Day trips from the city include such popular destinations as Auschwitz, Warsaw, Tatry Mountains, Ojcow National Park, and the vast Kalwaria sanctuary. A holy city. For centuries Krakow has been labeled as “Rome of the North”. A well-deserved nickname, bearing in mind Krakow’s multitude of churches, monasteries, and convents, its famous sanctuaries attracting crowds of pilgrims, its renowned religious festivals, and its numerous holy relics as well as miraculous images. A joyful city. Krakow is full of entertainment. Concerts take place every day, from pop to jazz to contemporary classical music, sometimes thirty or more one night, with star acts pretty regularly descending on the city. The Krakow Opera Company produces a couple of operatic performances a week as well as operetta and ballet shows. Krakow boasts nine repertory theaters in addition to travelling companies of players. Cabaret and stand-up comedy are fairly popular - inaccessible, sadly, to English speakers. Yet the city's five multiplexes as well as other cinemas screen most recent American and British films with original soundtrack. Krakow for Christmas. Krakow may well aspire to the title of the world capital of white Christmas by virtue of its climate, spectacular architecture, and rich traditions that enliven the holiday season. Also, Yuletide in Krakow lasts longer than elsewhere: the festive season starts in the late November with the opening of the Christmas market and the advent of street and shop decorations, and next Christmas trees glitter and carols resound till the end of January. And since Krakow is one of Europe’s top tourist attractions anyway, visiting the city on Christmastime comes as a double advantage. Easter in Krakow is also exceptional, thanks to its profound spirituality as well as rich local traditions and time-honored fiestas of Emaus and Rekawka, not to mention the lively Easter market in central square. Krakow versus Kraków and Cracow. The original Polish name of the city is Kraków, pronounced "Krakoof", and - fingers crossed - maybe foreigners will also adopt it some day. For the time being, the standard English spelling is Krakow, while Cracow is dated form nowadays. Copyright © 2003 - 2019 by MAREK STRZALA. All rights reserved.